Out My Front Door: Big jewelry Auction Blowout Going On! Gotta hurry! 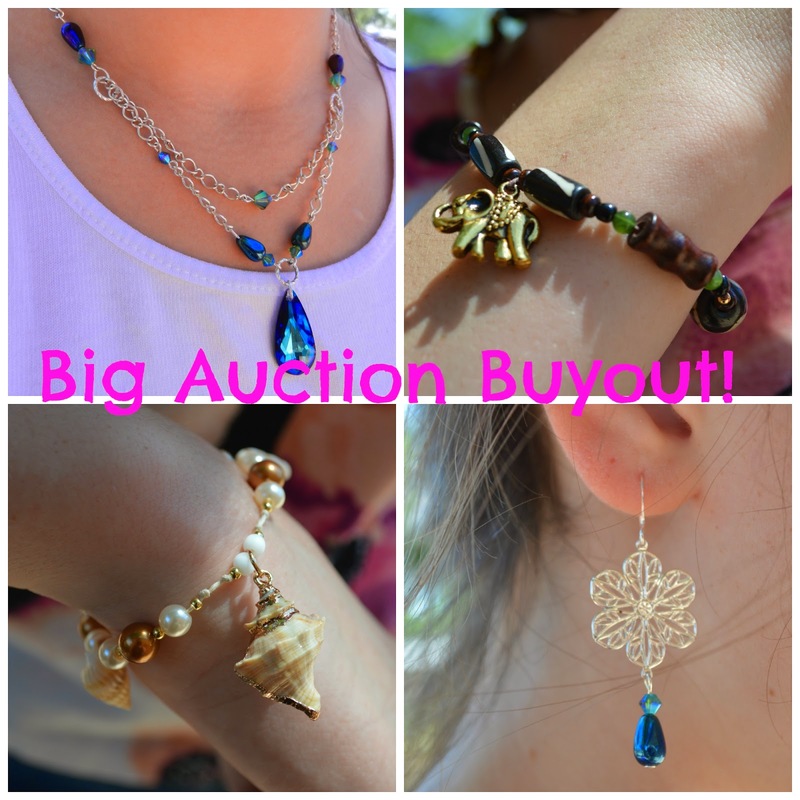 Big jewelry Auction Blowout Going On! Gotta hurry! Hey guys! I have BIG news! I'm running an auction right now, on Ebay, for all of my available jewelry. Many things are up for bidding, and a few are ending in less than a day! This is your chance to get a great price for something you might have been coveting! ;) Many are starting as low as $.99, $1.99, and $2.99. And of course there is a "buy it now" option, should you want to go that route! I recently decided that I needed to move inventory, because I wanted to bring in some new things, but I needed to recoup some costs. So here is my big push! I will also be adding new things when I can, so keep an eye out for new treats!